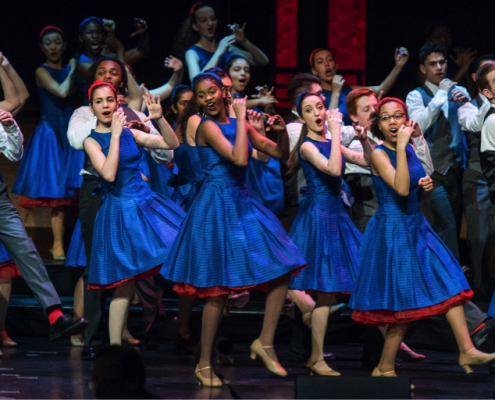 June 1, 2017 – The award-winning Young People’s Chorus of New York City (YPC) and Artistic Director/Founder Francisco J. Núñez, launch their summer season this week when they leave for Finland, the first of two European tours this summer. They also give two concerts at the 92nd Street Y, return to Europe for performances and competitions in Barcelona, Spain, and make their Mostly Mozart debut in the festival’s opening concerts. 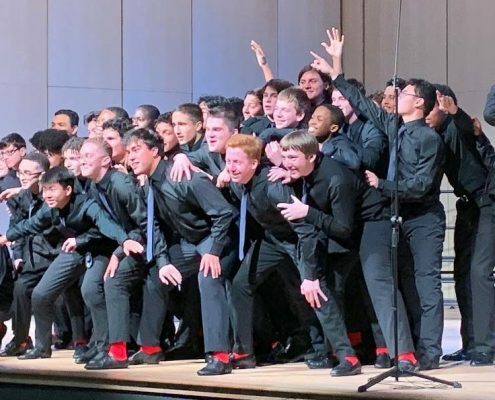 The Young People’s Chorus of New York City is grateful to Tommy Hilfiger, the chorus’s official tour outfitter, for generously contributing a touring wardrobe for each of YPC’s young men and women who are traveling to Finland and Spain this summer. 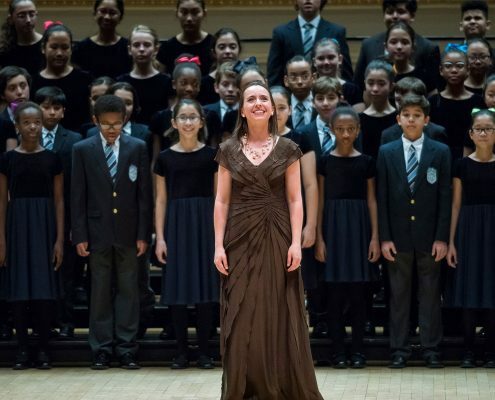 June 17: “Spring Concert Celebration” at 92nd Street Y. Two performances: 2:00 p.m. and 5:30 p.m.
Tickets from $30 to $60 are available at the 92nd Street Y box office at 1395 Lexington Avenue at 92nd St., by calling 212-415-5500, or online at www.92y.org. 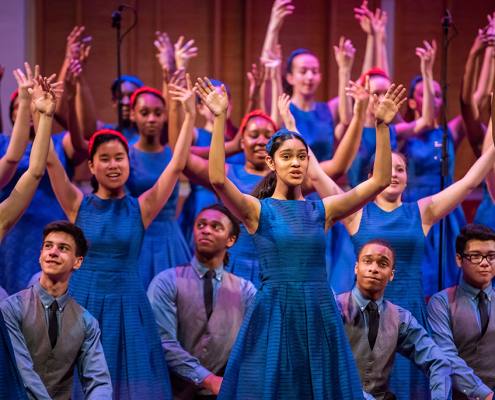 In July, the Young People’s Chorus of New York City and Francisco Núñez return to Europe for concerts in Barcelona, Spain. 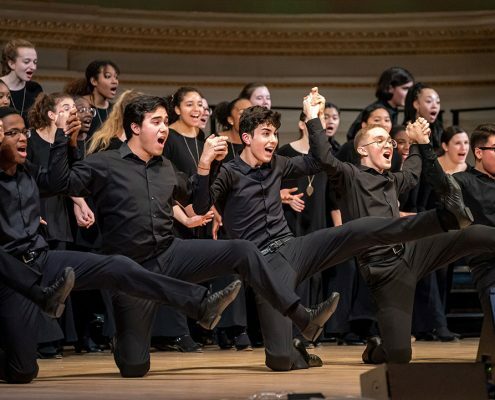 On Tuesday, July 11, YPC takes the stage at the world-famous Palau de la Música Catalana, listed as a “World Heritage Site” by UNESCO and the home of the Orfeo Català, the historic symphonic choir led by Simon Halsey. Following the performance, YPC travels to Vic, a town in the Barcelona province known for its rich cultural heritage, where YPC will participate in the Festival Internacional de Música de Cantonigros from Tuesday, July 13, to Sunday, July 16. 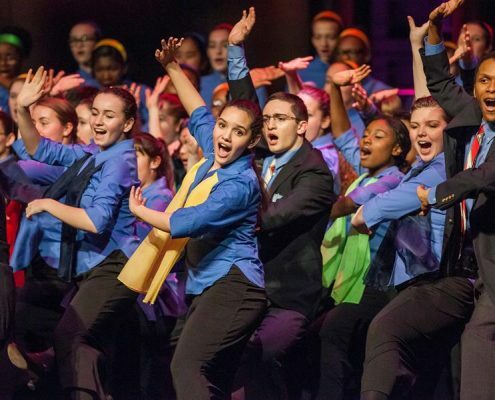 YPC joins choruses from throughout the world in this festival of competitions and performances of mixed choral music. The festival aims for participants to achieve a deeper knowledge and understanding of diverse cultures and to foster a spirit of friendship and peace among all countries and nationalities. 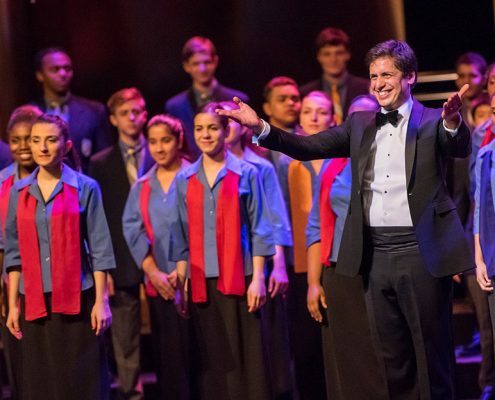 Young People’s Chorus of New York City and Artistic Director Francisco Núñez make their Mostly Mozart debut as the featured guest artists in the festival’s special opening program, “The Singing Heart,” at David Geffen Hall on Tuesday, July 25 at 8:00 p.m. and Wednesday, July 26 at 7:30 p.m. with the Mostly Mozart Festival Orchestra and Music Director Louis Langrée. In a program that embraces the music of Mozart and diverse musical traditions from Mozart’s era, YPC performs Mozart’s Kyrie, traditional songs and spirituals from around the world, and will join pianist Kit Armstrong, the Concert Chorale of New York under the direction of James Bagwell, and the Mostly Mozart Festival Orchestra in Beethoven’s Choral Fantasy, conducted by Louis Langrée. Tickets from $35 to $85 can be purchased online at MostlyMozart.org, by phone via CenterCharge at 212-721-6500, or in person by visiting the David Geffen Hall or Alice Tully Hall Box Offices. 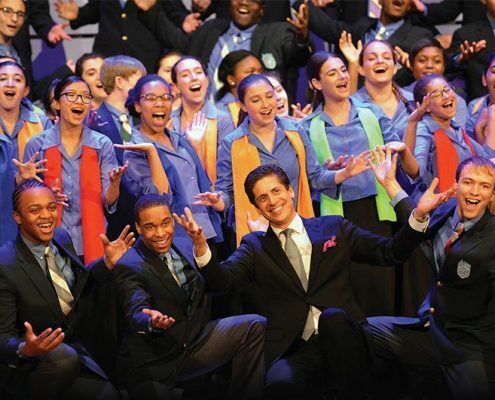 The Young People’s Chorus of New York City (YPC) is a world-renowned youth chorus founded in 1988 on a mission of diversity and artistic excellence by Artistic Director Francisco J. Núñez. 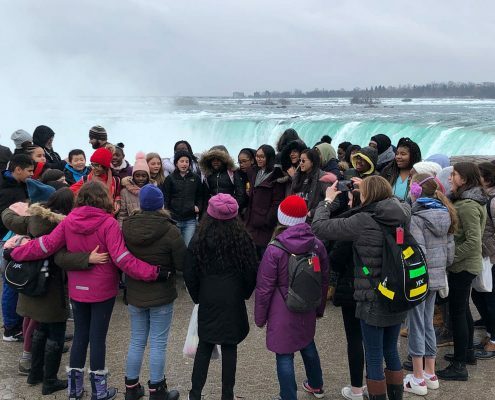 While harnessing the power of music to fulfill the potential of children, the program has heightened an awareness of the ability of children to rise to unforeseen levels of artistry. YPC receives invitations to perform on four continents, has won over a dozen gold medals in international choral competitions, and has invigorated the repertoire for young voices by commissioning and premiering over 100 compositions from today’s most distinguished composers. 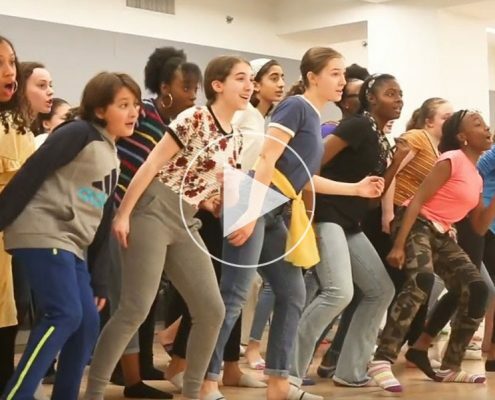 YPC is the recipient of the National Arts and Humanities Youth Program Award, America’s highest honor for youth programs.